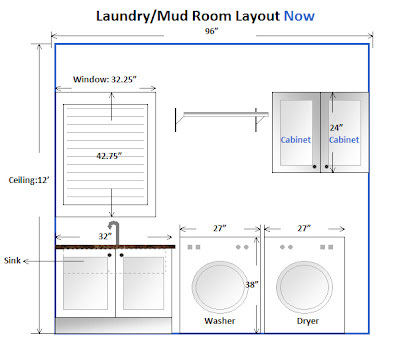 The urge to renovate our laundry mud room is stronger than I anticipated. I thought I could stall it for a while until it gets warmer, but no, after I always dropped the Red Velvet Cake we got for VD struggling through the doorway, I decided NOW is the time. 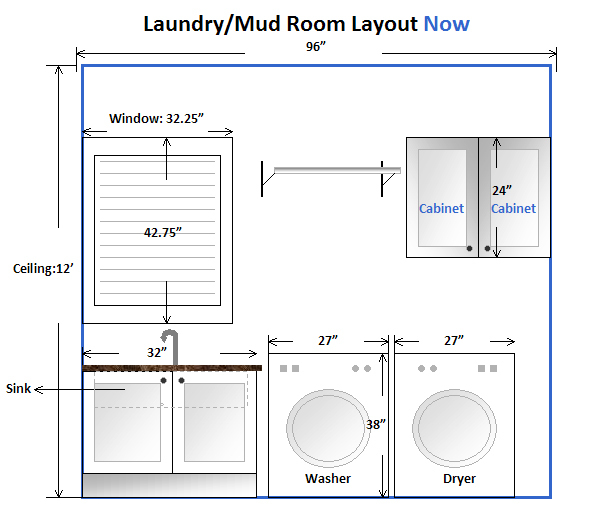 This is our laundry mud room layout now. The door from the garage opens into this mess. This is my first take on a new layout to add more storage and function to the room. 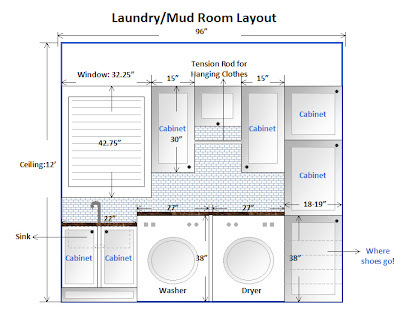 After consulting a contractor specializing in custom cabinetry, I've re-arranged the layout a bit to maximize the storage space. I also made a major decision to go with Ikea's White ADEL cabinets! 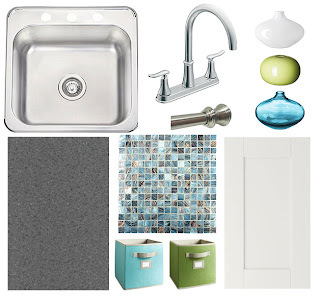 I've seen how wonderful a big-box store cabinets could turn out given the right design from many interior design shows on HGTV, and now I finally get to venture it! 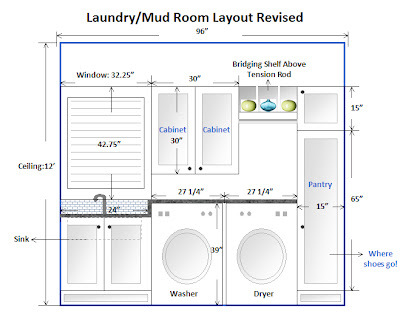 Here's a portfolio of our new laundry room elements. 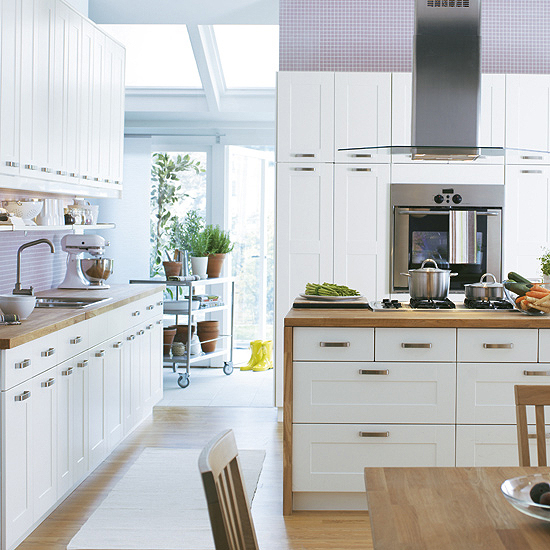 This is what a typical Ikea ADEL White kitchen looks like. 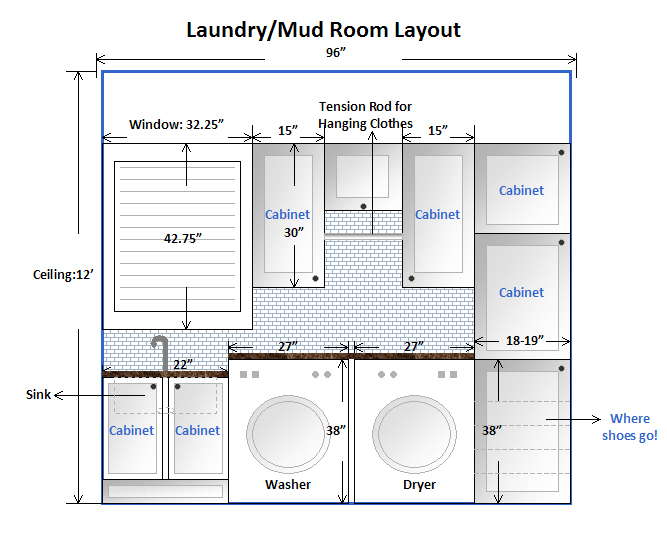 To take everything apart and install all the cabinets and plumbing will take a whole day. To purchase all the components including to have the countertop custom made will take about two weeks. 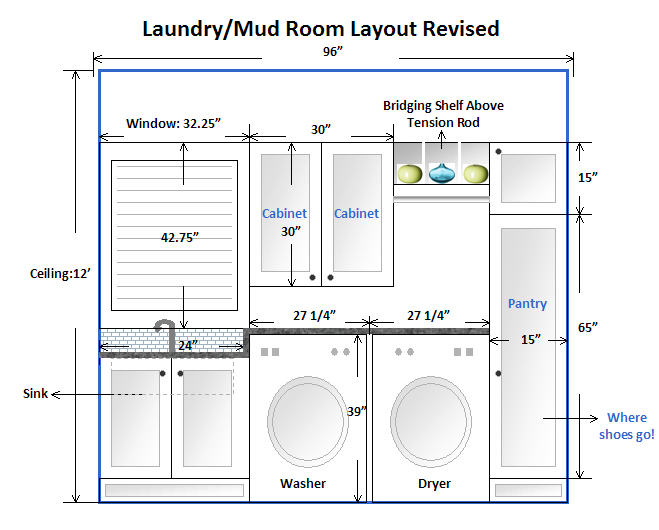 Therefore, I should be able to reveal what our new laundry room looks like (and how well it functions) in just over two weeks.